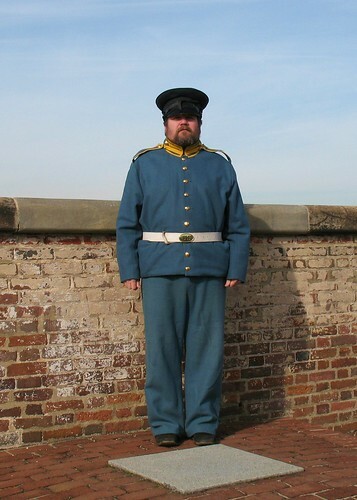 One of the docents at Fort Washington, MD, in a Mexican War-style uniform. He's standing on one of the gun platforms along the main wall of the fort. The granite square marks the spot where the cannon would have been anchored.